Every two months, we're featuring EIGHT books we're interested in checking out. (We know there are many, many more, but we're just highlighting a few that haven't received their time in the spotlight yet.) Here are the books we've chosen for January and February. There is one copy of each book available to give away and we will choose FOUR winners to each receive TWO books at random. *Thanks to Grand Central Publishing for the giveaway copy. 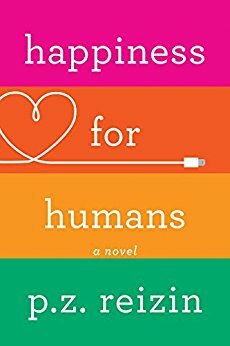 With an acerbic edge and heartwarming humor, debut novelist Leslie Cohen takes us on a tour of what life looks like when it doesn’t go according to plan, and explores the complexity, chaos, and comedy in finding a relationship built to last. An English professor struggling for tenure discovers that her ex-fiancé has just become the president of her college—and her new boss—in this whip-smart modern retelling of Jane Austen’s classic, Persuasion. Of course Talk to the Paw gets my attention first. 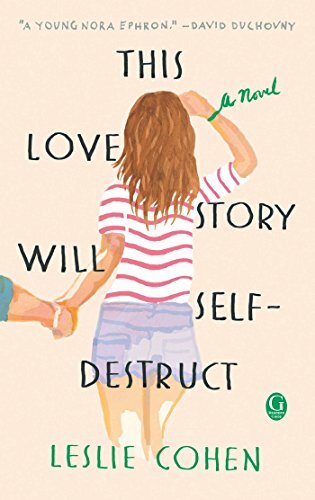 But This Love Story Will Self Destruct sounds interesting too. None of my relationships have ever lasted so I am surprised this one has lasted as long as it has. 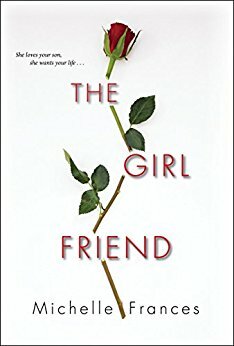 The Girlfriend is one I really want to read! I am interested in all of these marvelous books! They all look interesting in different ways but the one that caught my eye is the Dreaming in Chocolate. So many wonderful books but the one I am most interested in is Dreaming in Chocolate. "As Bright As Heaven" is a book that I cannot wait to read. A couple of the others are ones that I have been lucky enough to have received through NetGalley to read and review. Many thanks!! They all sound wonderful. Next Year in Havana sounds captivating and special. I have As Bright As Heaven on order. By the Book appeals to me as well as a few others. I think I really need to read Talk to the Paw! 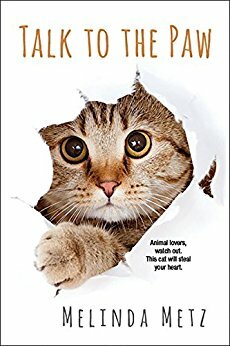 Talk To The Paw sounds like a book right up my alley! "Next Year in Havana " tops my list. As a Jane Austen fan, "By the Book" sounds fantastic! By the Book and Next Year in Havana sound good. I want to read By the Book. As Bright As Heaven by Susan Meissner. All of her books are always amazing. All of these books sound great by such wonderful authors. 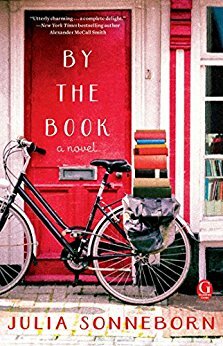 I read an E-Arc of By The Book and absolutely loved it!! Thanks for a fabulous giveaway!! Talk to the Paw and Dreaming in Chocolate sound like books I would like to read. As Bright as Heaven interests me most. I've loved all of Susan Meissner's books. I'd love to read The Girlfriend! I would be thrilled with any one of them. I am most interested in The Girlfriend. As Bright As Heaven is one on my TBR. As Bright As Heaven is top on my list, followed by By The Book. 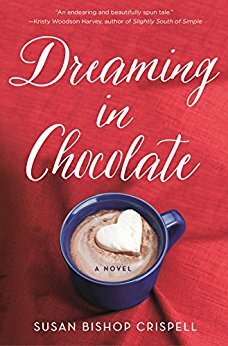 By The Book and Dreaming In Chocolate both sound really good to me. I LOVE the books you have here. 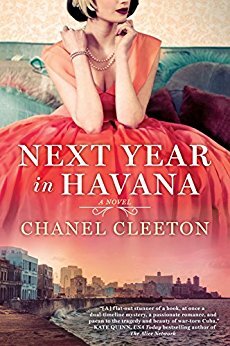 AS BRIGHT AS HEAVEN and NEXT YEAR IN HAVANA were great reads. BY THE BOOK looks so good...I hope I get to read it. I love historical fiction but I've never read any books set in Cuba, so I am most interested in Next Year in Havanna. Next Year in Havana looks like a fascinating read! I love historical fiction and the setting sounds so interesting. All these books sound good. I have Next Year in Havana, I do want to read As Bright as the Heavens though. I would be happy to win any of them. As Bright As Heaven and Dreaming in Chocolate interest me the most. I've been hearing so much about both of those books on facebook. All these books soubd amazing!! 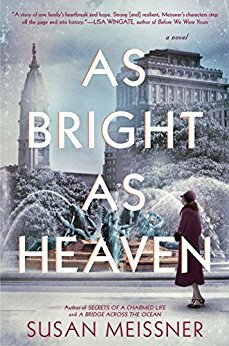 I can’t wait to read As Bright As Heaven. I’ve read a lot of great reviews. I also want to read Dreaming in Havana. The story sounds great and the cover is gorgeous! !